Our Rose & Ivory Kaolin Clay Facial Cleanser bars smooth and soften dry, sensitive and mature skin. Ivory Kaolin Clay is a gentle clay with less liquid absorbing properties than other clays, which is helpful for sensitive and dry skin. Olive, Coconut, Avocado, Castor Oils & Cacoa & Shea Butters deeply penetrate and moisturise to leave your skin smooth & soft. Aloe vera (Barbadensis) - Aloe vera is used for it’s refreshing, soothing and restorative properties. It can help with flaky & dry skin, and in treating wounds and burns (including sunburn). It can help protect & moisturise the skin. It contains antioxidants including beta carotene, vitamin C and E. Aloe Vera is a cactus plant, the part used is the gel inside the leaves. Vegan: Our Facial Cleanser range is well suited to people with allergy to dairy products or those who prefer products made with vegetable, mineral and botanical ingredients only. "I recently bought some of your Facial Serum and you gave me a Facial Cleansing Bar to try. I have sensitive skin and usually use a gentle soap alternative on my face. 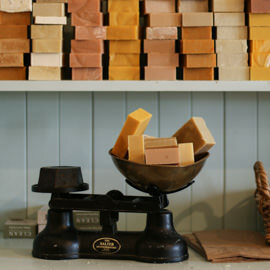 Your soap is just fantastic. My skin feels clean and soft and there have been no adverse effects. 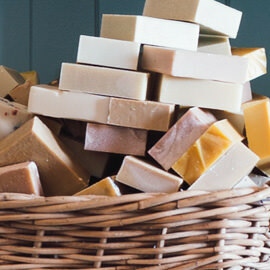 I actually prefer your soap to the soap alternatives". 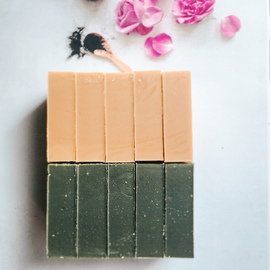 If you don't agree that this is the most effective and affordable way to gently cleanse your skin just return the bar to us and we'll happily refund the full purchase price. Bars weigh 110 grams when packed. Saponified oils (olive, coconut, shea butter, avocado, cacao butter, castor oil), aloe vera juice, essential oils (lavender, neroli, frankincense), kaolin clay. I am very happy using this soap knowing it has all natural ingredients, leaving my skin soft and clean without the tight dry feeling. It lathers up beautifully and even removes makeup. Thank you Washpool, keep up the good work. I cannot rave enough about this bar, being 57, and having a teen daughter, we decided to try this and its amazing. soft and gentle but gets make up off too. She is completely pimple free and my skin is the best its been for ages. Scent is delicious and after months of looking for a way to cleans my skin, I am so glad i decided to try this bar. I cannot contemplate using anything else now and I have bought a sample bar to take on my holiday soon, instead of the larger bar. Great idea for travel!